My brother recently moved back to the states from Brazil with his wife and two kids. He came ahead of his wife with the kids, Gabriella and Matthew, a day before Hurricane Sandy hit Jersey, and stayed with me while they sorted out their living arrangements. But while they were living with me, I was Super Aunt (but, really, I always am) keeping them as busy as possible with NO POWER for 10 days while also juggling work and crafting. The first day or two was rough on the kids: no TV or DVDs, no heat and (duh) no lights. But we took adventures up to the jungle (attic) and found hundreds of exotic animals (Beanie Babies). 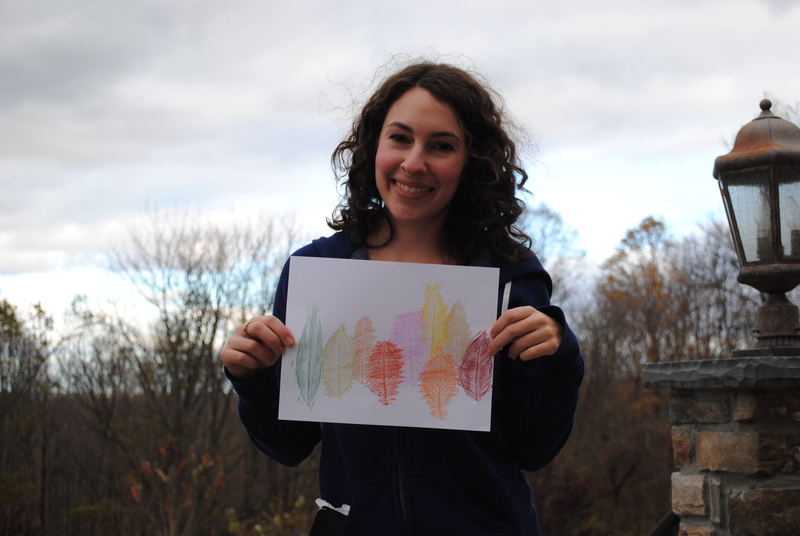 We also colored,played with dolls and cars, and put together jigsaw puzzles. I thought it would be a good idea to go out and walk around because aside from being inside for days, because everything was closed AND we needed to save our gas, this was the first time Gabriella and Matthew had never seen Fall leaves. (Never mind the SNOW that fell days later!!) 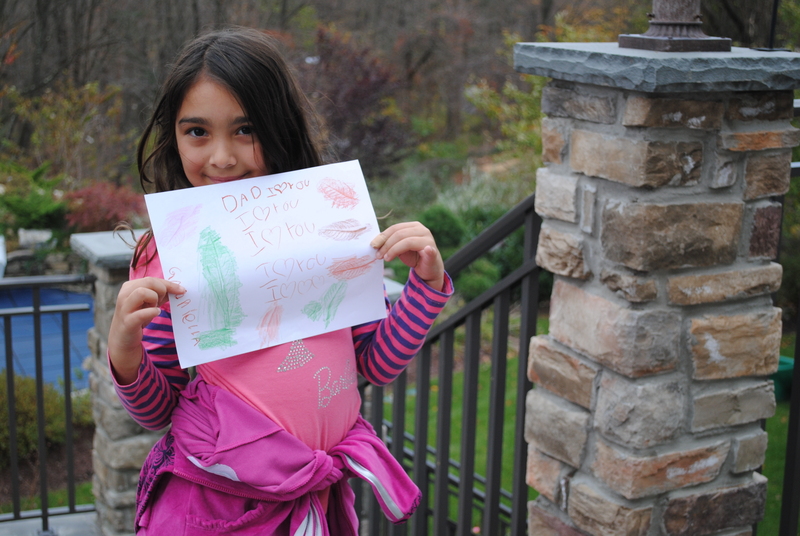 So I took Gabriella outside to collect things, leaves in particular, to make something with. She immediately got into it and was curious as to what we were going to make. A forest, she thought. Perhaps. 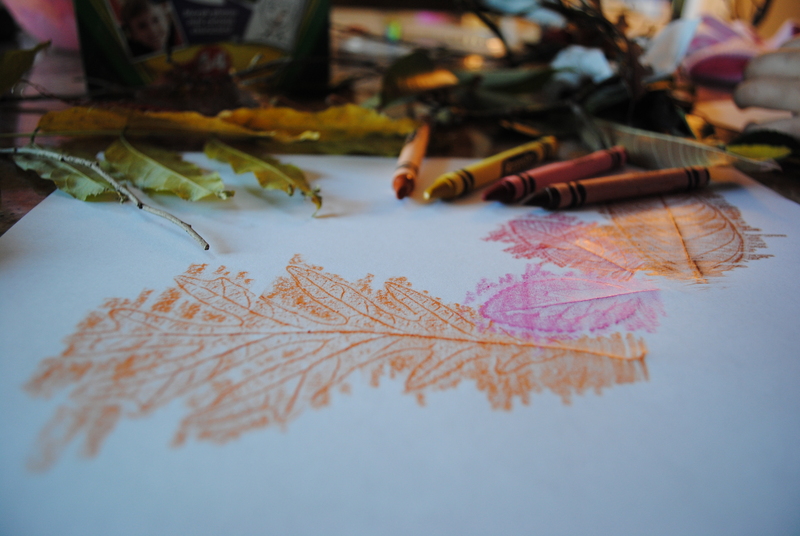 Or maybe some beautiful Leaf Rubbings! I began by showing Gabriella (7) how it works and explained how to do it. I mentioned composition, pattern texture as things to keep in mind when making her picture. At first, she had a bit of trouble getting the texture of the leaf because she was either pressing too hard or too soft. So, we played with different ways of doing it at first, and found that rubbing the crayon over the leaf horizontally (leaf vertical) was most successful in capturing the fine detail of the leaf textures. Overall, it was a success! It was fun to see what was going to happen with each leaf, it was relaxing and our pictures came out beautifully. Get out and get some leaves before they’re all gone! 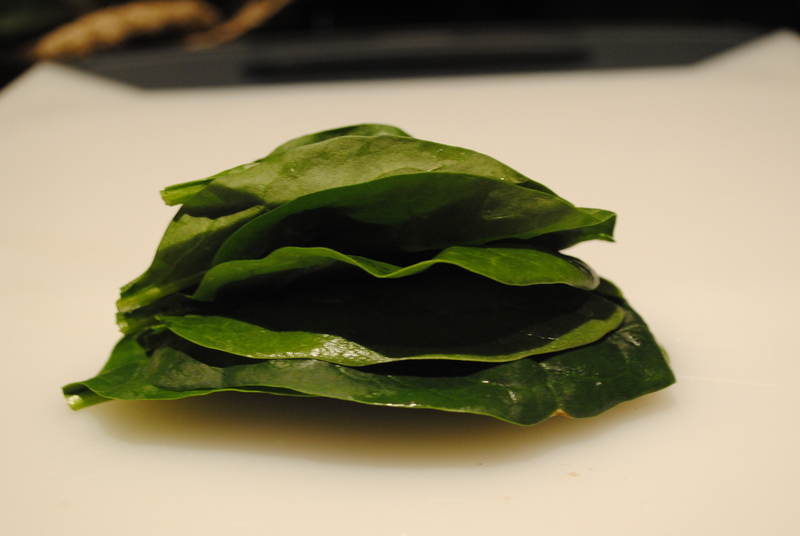 Are you having difficulty cutting basil, or spinach? It can be a bit tricky but with the chiffonade method there is no need to worry. 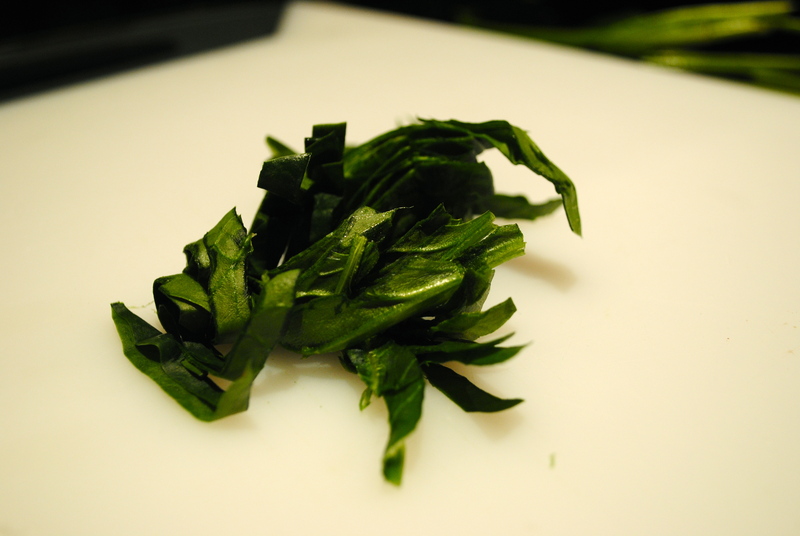 Chiffonade is a technique for cutting leafy greens into thin strips. 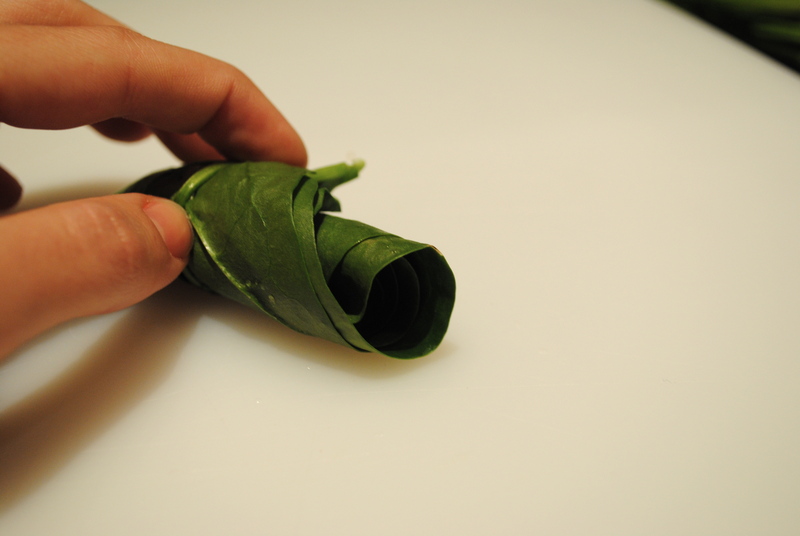 In 3 easy step cut your greens into beautiful and delicious ribbon. Step 3- Tightly roll of the stack and cut into desired width.